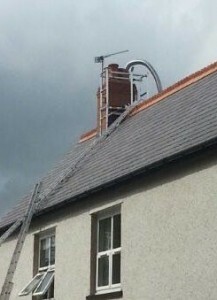 I have a small chimney scaffold and it can be very useful. Prior to purchasing the small scaffold (April 2013) I would usually use ladder/cat ladder and rope and climbing harness. If difficult chimney then scaffolding or cherry picker. The installation of wood burning and multifuel stoves (or any solid fuel appliance) is work that is controlled under the Building Regulations, as is the relining or installation of flues and chimneys associated with such heat producing appliances. Regulations for lining a chimney state that it is mandatory for a house owner to submit an application to Building Control before work starts (or employ the services of a person in a recognised scheme e.g. Hetas). You can find out more about Building Regulations in relation to wood burning stoves. 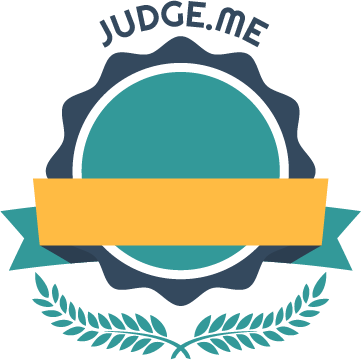 This article can also be found within the “Before You Start” section accessible via one of the large red buttons on the left. 1. A chimney liner must not be joined (unless in a place accessible for inspection via a suitable inspection hatch). 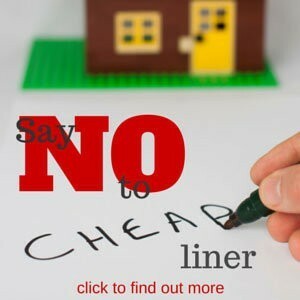 To make matters easier – just do not join two or more pieces of liner together. 2. Gas liner must not be used on a solid fuel stove. 3. You cannot just use any diameter liner: unless a manufacturer says so the liner diameter will be, as a minimum, the same as the flue size for the stove. Stoves with a flue pipe diameter less than 6″ MUST be connected to a liner of 6″ minimum diameter (certain DEFRA approved stoves may allow a 5″ liner). In practice 95% plus of liners installed for wood burning stoves are 5″ or 6″. If the stove is DEFRA APPROVED* with a 5″ collar and the stove manufacturer does not state otherwise* then a 5″ liner can be fitted. Do not install a liner and then ask a Hetas engineer to sign it off for you. Rarely will they do so.